The sweet and gentle Labrador Retriever, commonly called the “lab”, is considered to be the most popular breed of dog in the United States. Wonderful news! California has banned pet stores from selling pet mill animals. As of January 2019, they can only sell rescue animals. This is a huge win for helping to rid the state of puppy mills. Use these tips to find a vet that works for you, and get the peace of mind you need when it’s time to visit the vet. The Boxer is a family dog if ever there is one. He takes his “pack” status as protector and companion extremely seriously. Sources indicate that some 40 percent of the pet dogs in the United States are overweight or obese. How can you tell if your dog is overweight and what can you do about it? Dogs, just like children, need guidance, discipline and rewards to make them well-behaved and balanced. Here are 4 tips that you can use to keep your dog well-trained and happy at the same time. Dog love close contact, and respond powerfully to touch, but if a dog massage is something you’ve never thought of doing, then here are some tips on where to begin. There are three potty training issues that can arise when trying to train a puppy, adult dog or senior dog. Regardless of age, any dog can be trained to do his business outside. It’s no wonder that families love adding a dog to their household. However, there are many things to consider before getting a dog for your home. When your dog starts to pant, you’ll know he is anxious and feeling fear. Here are a few things that might stress your dog, what you can do about them. 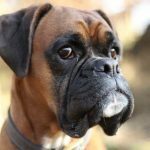 If this is your first dog or it’s been a long time since you had a dog, here are some tips that will help you have a happy, well-trained new member of your family. Cleaning your dog’s ears regularly will make them less likely to have dirt, debris, germs, infections and other issues. Most long-haired dogs will get mats in their fur at some point. Mats aren’t particularly harmful to your dog, but can cause discomfort and a few problems. What’s the Best Way to File Your Dog’s Nails? A major aspect of grooming your dogs is keeping their nails at an appropriate length. Here are some tips on how to do that. The most common cause of diarrhea in dogs is something having to do with their diet, however, there can be more serious causes.